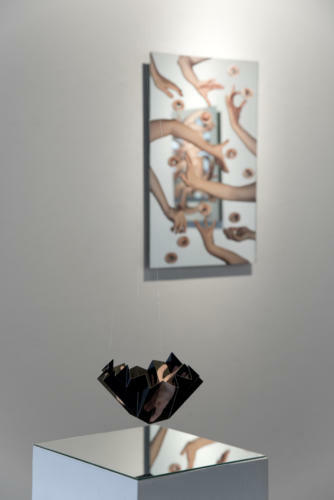 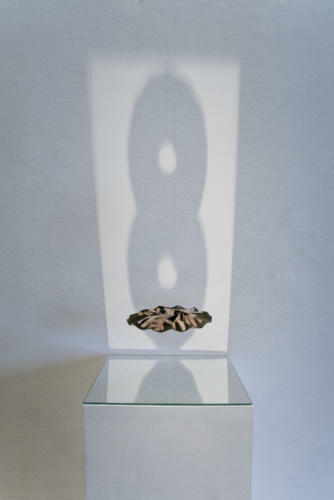 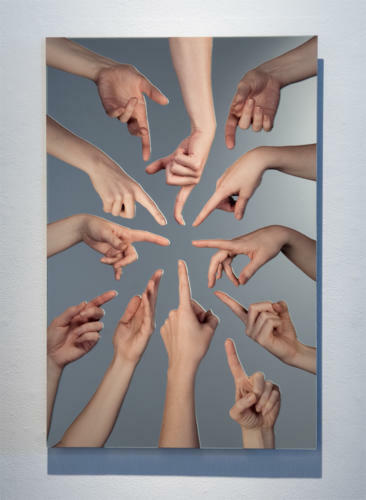 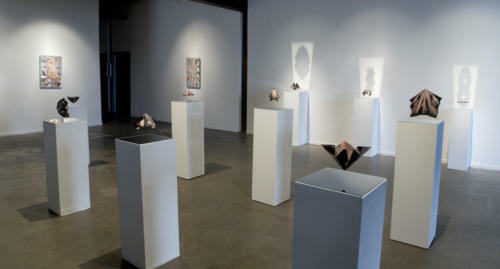 ​False Mercury is a continuation of Cravens' exploration of the body through distortions and duplicates. 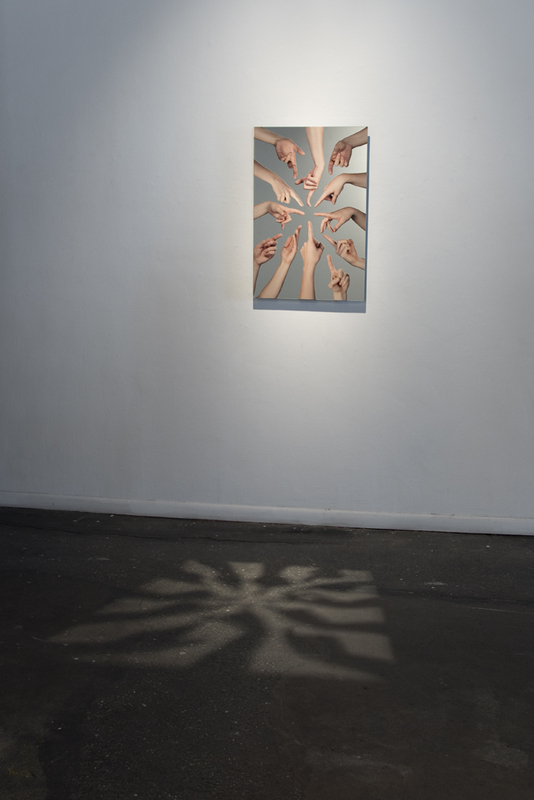 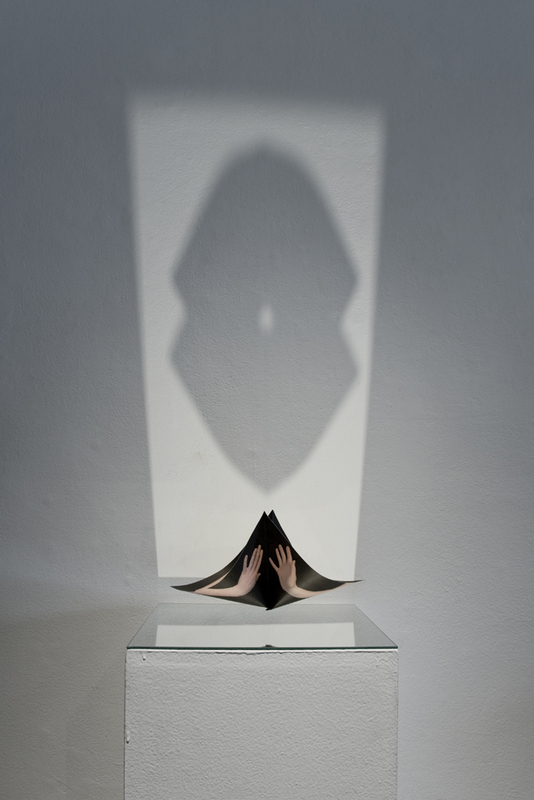 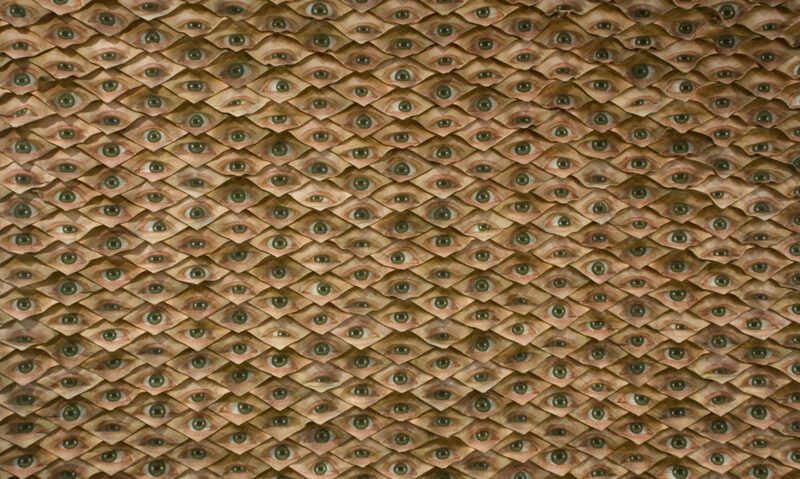 In this installation, she utilizes mirrors and origami to jumble the body and question the barrier between the physical and mental. 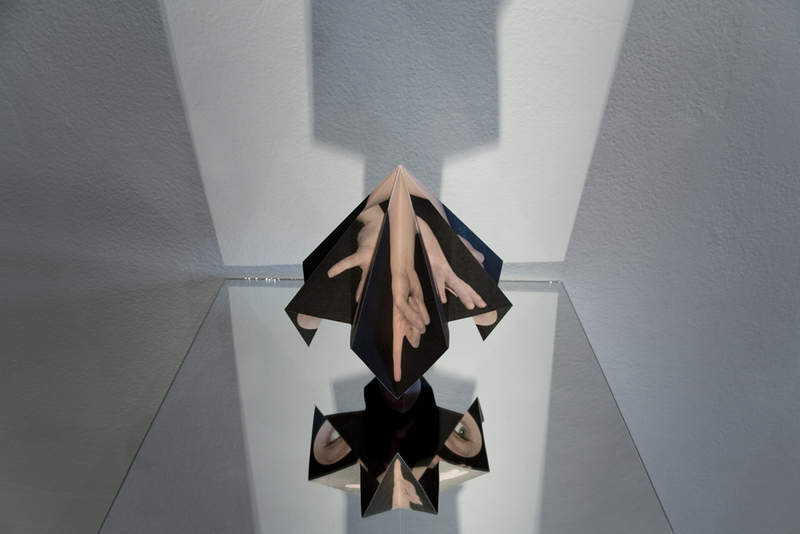 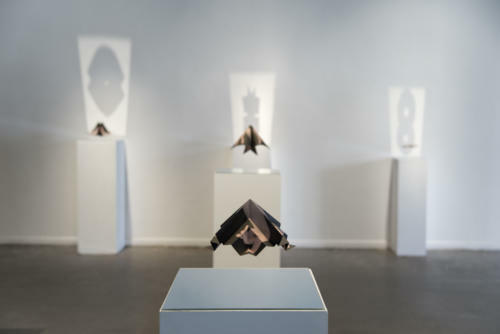 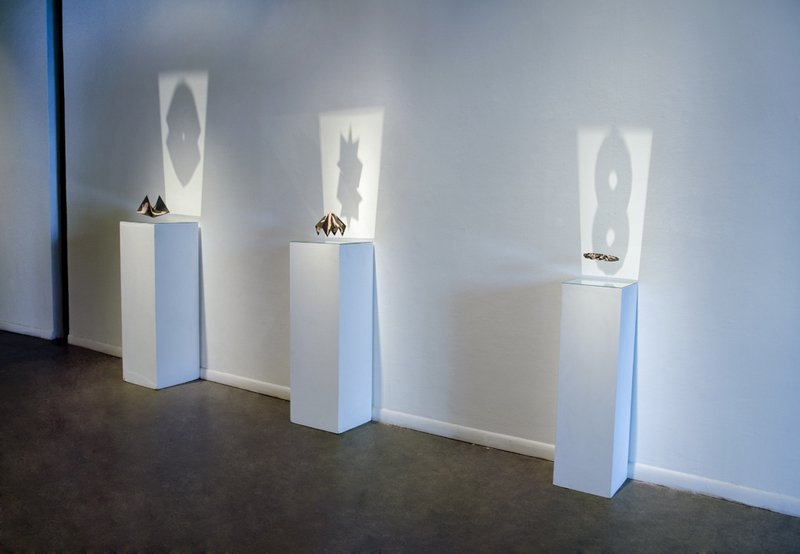 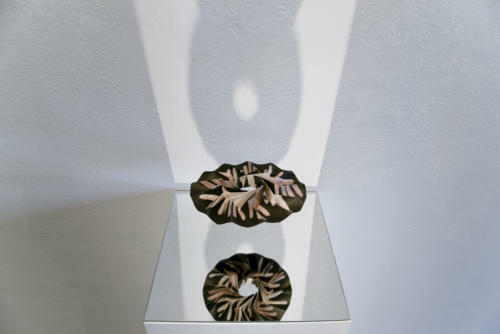 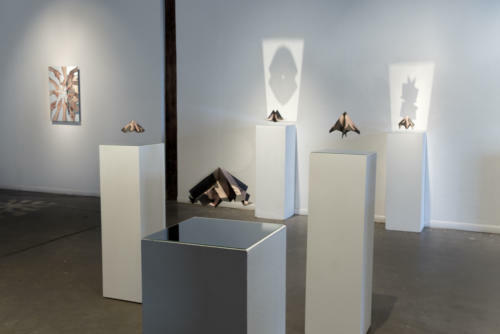 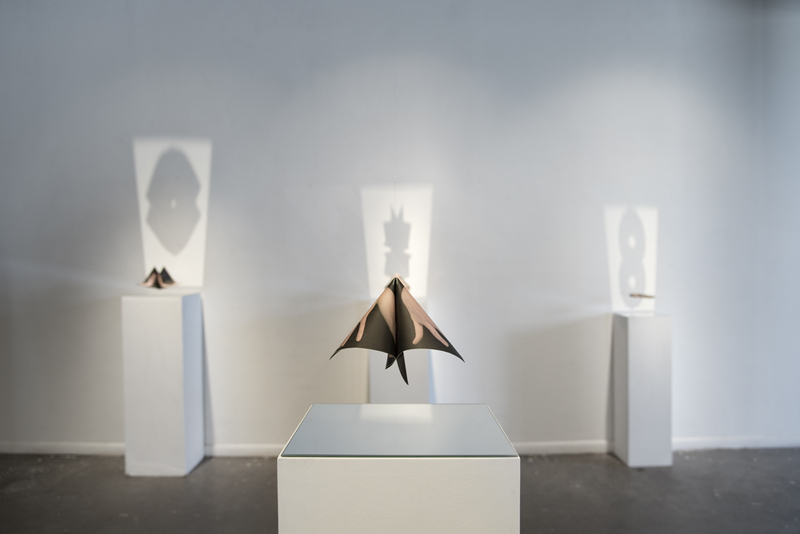 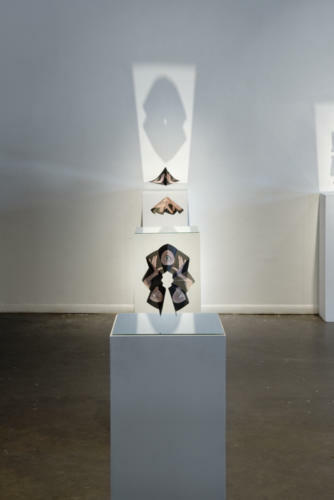 Segmenting and focusing on different body parts, Cravens creates abstract origami sculptures that show the multiplicity present in our physical forms, and the disconnect with our mental selves. Through the use of mirrors, she invites the viewer to perceive themselves, layered within the carefully constructed compositions. 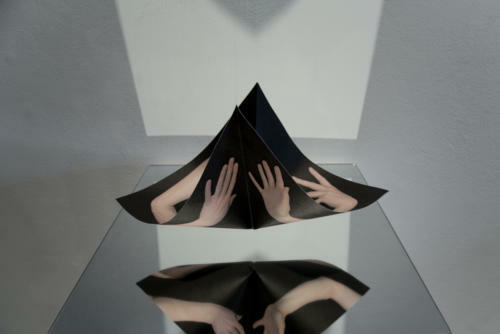 Literally reflecting on where one begins and the other ends. 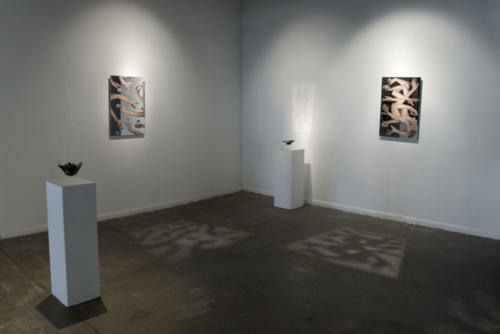 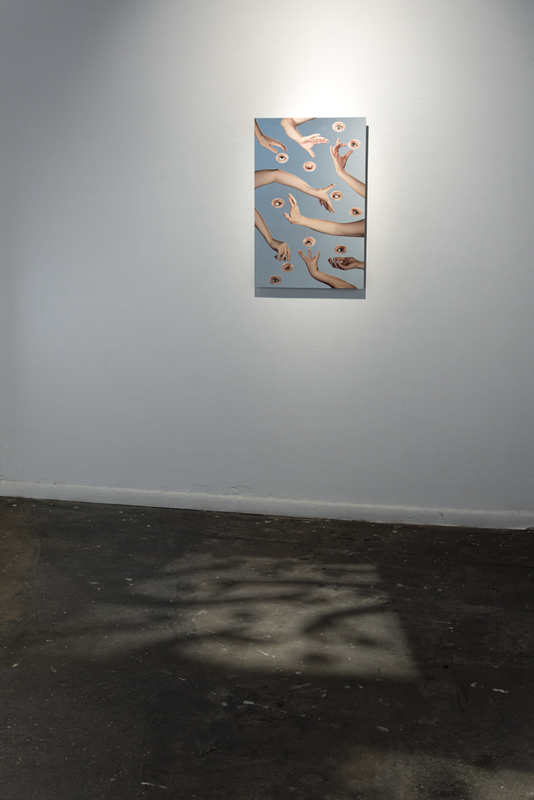 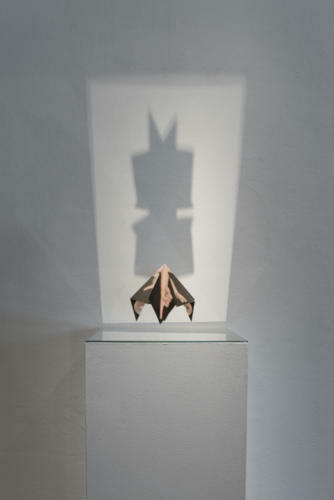 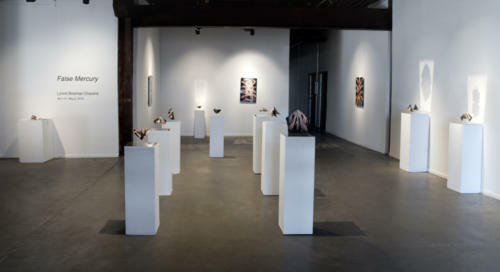 ​​False Mercury was Cravens' last exhibition as a member of the artist run co-op, 500X Gallery.